There’s nothing like heading out to shoot a few hoops. But whether you are practicing your free throw or playing guard in the state championship game, injuries happen. Chiropractic care can help you avoid many common basketball injuries and, when injuries happen, can help you heal more completely so you can avoid re-injury in the future. Ankle sprains – when the ligament in the ankle partially or totally tears – are the most common basketball injury. They usually happen when players land after jumping and also when players make quick changes in direction. Ankle sprains can be minor – a few days of RICE (rest, ice, compression, elevation) and an injured player can be back on the court – or more serious, requiring surgery. Basketball injuries involving the knee can range from a minor sprain to something as serious as tearing of the ACL. They occur at the same times as ankle sprains generally do: landing a jump or during a quick change of direction. Also like ankle injuries, knee injuries can range from minor pains treated with RICE to major injuries requiring surgery. Basketball lower back injuries are usually strains: a partial or total tear in the muscle or tendon. They occur when players make sudden movements that over-stretch the lower back area, but are most common when players are not adequately warmed-up. Other lower back injuries, such as fractures or injuries that develop over time, are rare but can also occur. Jammed fingers are common in basketball. While most finger injuries are easily treated with RICE, torn ligaments and tendons or fractures may require a doctor’s care. While far from the most common basketball injury, it’s easy to see how eye injuries might occur during a basketball game or practice. Bodies are in close proximity, fighting for control of the ball. Fingers and even elbows can easily catch other players in the eye area. Many players don protective eyewear to avoid serious eye injuries. •	Wear shoes with good ankle support. If you are prone to twisting an ankle, you may want to tape your ankles before practice and games. •	Supportive and protective gear for your knees, elbows, and even thigh area may help you avoid everything from deep bruising to torn muscles, tendons, and ligaments. •	Warm-up isn’t just for games. Injuries often occur during practice because players think they don’t need to warm up as well. And, even if you’re in a game but sitting on the bench, do your best to keep your muscles warm and activated so if you go in, your body is ready to play. •	Stay hydrated – not just during games and practice, but always. Dehydration can take hours to fix so it should be something you are considering hours before play. •	If something hurts, stop. It’s far easier to treat a minor injury than it is to treat a major injury and most major injuries happen after a minor injury has been ignored. •	Did you know that most sports injuries happen during the pre-season and not in season? That’s because players haven’t kept up their fitness and flexibility in the off-season and when they start pre-season training, they demand their bodies perform like they did at the end of the previous season. Keep your fitness level up in the off-season and ease into things during pre-season. •	Every year in the U.S., over 200,000 kids under the age of 15 require treatments in emergency rooms due to basketball injuries. •	Baseball and basketball together account for over half of sports-related mouth injuries so wear those mouth guards! •	Girls and women suffer from basketball-related injuries at a slightly higher rate than boys and men. Furthermore, the basketball injuries that girls and women sustain tend to be more serious than those of their male counterparts. •	High school and recreational basketball players are more likely to be injured during practice, but college ball players more frequently injure themselves during games. When you’ve been injured, the only thing you want is to get better as fast as you can. This is often doubly true for sports players: injury means missing practices and games that can be crucial to a team’s success. On the other hand, rushing the healing process can lead to future injuries that could’ve been prevented. It’s important to have someone by your side who can help you in this confusing and stressful time. Your chiropractor can be that aide. Your chiropractor specializes in looking at your body as a whole system instead of simply focusing in on one single part. Your chiropractor will help you identify possible problems areas as you make your journey back to health, either in the initial injury area or in other areas of your body. For instance, a knee of ankle injury might require days or even weeks of imbalanced walking. Muscle strains, cramps, and even more serious injuries can happen when the body is misaligned like this. Your chiropractor can help keep your body in proper alignment and can help you make sure that when your initial injury is healed, the rest of your body is ready to get back to the court as well. Your chiropractor can also help you stretch and strengthen your injured area, when it is appropriate to do so. This can keep injured muscles, tendons, and ligaments from becoming overly tight as they heal or weakened from inactivity. Also while you are healing, your chiropractor can help identify and improve other injury-prone areas. For instance, if you strained your left ankle, your right ankle may also be at risk for a future sprain. Your chiropractor can help you stretch and strengthen the other ankle to prevent future injuries. 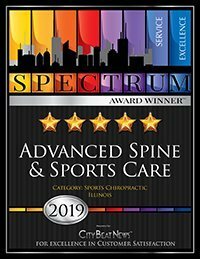 Ultimately, your chiropractor’s goal is to improve your health and fitness, no matter what your starting point is, so that you can look forward to many games in the future. Whether you have suffered a basketball injury recently or are concerned that you are likely to suffer a basketball injury, our chiropractors would love to meet with you and discuss ways we can help you be at your best for years to come.